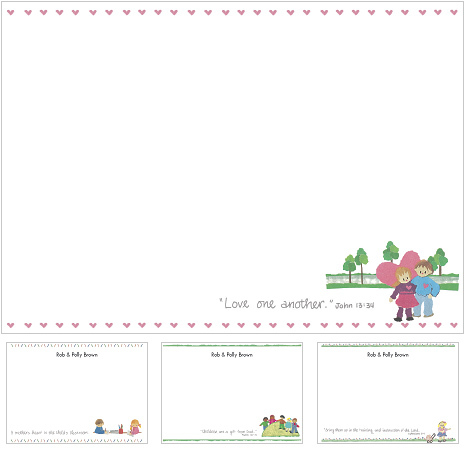 The Christian mother and daughter team of "It Takes Two" present this darling series of children note cards in their unique paper medium. This series tells of God's compassion and includes themes suitable for teacher notes, homeschool notes, mother notes and parenting notes. These 6 1/4" X 4 1/2" flat cards include free personalization and envelopes.